Hi there, did you receive a confirmation for the cancellation from Deezer? If so was it sent to the email address your are logging in to Deezer with? It is possible that you have a second Deezer account? I checked your account and it was cancelled successfully. The last charge on this account was on the 7th October through your MasterCard. Can you send us a message with more information regarding the payment so we can check our systems? Please avoid posting it here. Hi @Spud, we can't see any payments on your account. But you can send the confirmation from Itunes here and we're happy to check. I cancelled my subscription via iTunes back in October and have still been charged £9.99 a month for the subsequent months, despite the subscription no longer appearing on my apple account. I want my money back and for this to stop. 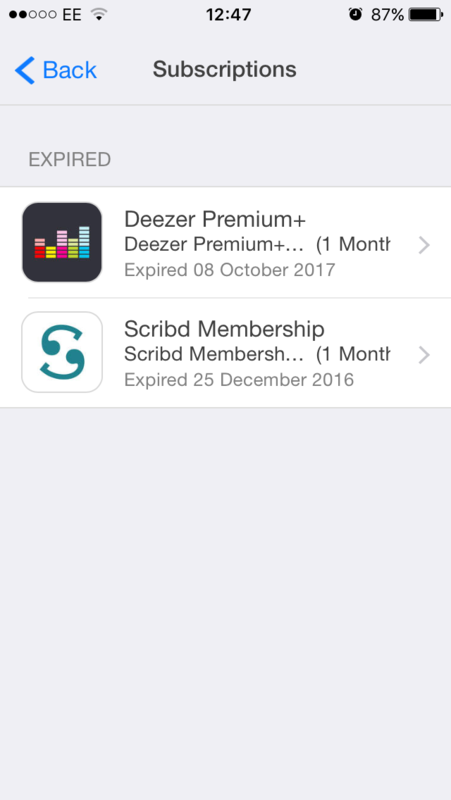 I was subscribed to Deezer Premium, and cancelled my Premium account on the 08 November 2016. Today when I checked my credit card statement, I have discovered I have been charged for an entire year since then. On my Deezer app, if I go to my account settings, it shows that I have a free account, hence why I never realized I was still being charged. When I tried logging into the Deezer website now, using my phone, it says there is no account registered to that number. I then tried logging in with my email address, and have discovered that it still states that I have a premium account. I am very confused and disappointed, as I was under the impression I was on a free account, since that is what it stated on my account details. I would please like to be refunded for the last 12 months of subscription that I clearly cancelled. I am also annoyed that there seems to be no way of contacting the accounts department directly. What’s the number to call them to cancel the subscription? Hi, I cancelled my deezer a couple of months ago, but just saw that I have been getting billed, also my account says I am not subscribed and there fore I am paying for nothing,? Please contact our support on this link with your payment method and the date and amounts of the latest charges and they'll look into this for you. I am being charged when I have cancelled . I have confirmation emails of cancellation and would like a refund urgently. I cannot send you the emails on here so if message me on [removed to protect personal details] me I will reply with proof. This urgent so please please reply quick. 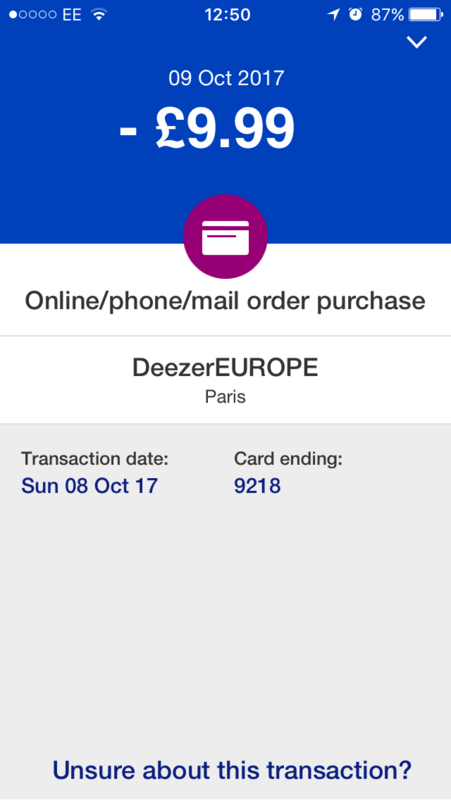 Hi @Emma.Spencer , if you were still charged by Deezer, it means that you have another account with another email... As this a a private matter and we will need private information, I would like to ask you to contact our Support team here. I subscribed too deezer with the 30 day trial free and after $9.99 every month. I subscribed in sept 2017 and cancelled in sept 2107. But somehow the cpu of deezer and its automated billing system kept charging my bank card for a period of 4 monrhs @ $9.99 a month for deezer premium+ services. Remember now i canceled my service in sept 2017 but deezer claims they have no record of this. So they excused the charges up too january 2018 and only claim too refund january 2018 after i had too re logg into to my active deezer account that was for 4 months in active just too recancel my subscription. Only then they claim too have said we wont charge you for january 2018 even though we allready did and as for the other 3 months we will let you have 3 months of service. "I said" of coarse i payed for those months and as you see i never used those months because there were no downloads or log ins or activity on my account until yesterday january 2nd 2018 after i realized there was a recurring charge from deezer for 4 months. Please be very vwry careful, cause deezer thinks they can do what they want with customers and get away with it like taking your money. Even though there was no activity on my account because there cpu and service messed up and didnt cancel me. They wont refundbthe money for the charges. Furthermore too compensate for all the headaches,claimes,emails,reports,complaints,and phone calls i had to do they only offered too give me the service that i had allready payed for. Ha ha ha. Thats not compensation and professionalism. But they are a multi million $$$$ company that really doesnt care about you. So buyer beware!!!! Just look at this there are no phone numbers too call for problems everything is automated and i guess they dont think cpu make mistakes. But they do! The problem is we pay for it! Thats qhy there are no numbers too call. Its ok i think the Better Business Bearue, Webmaster, Facebook, Google, etc will love too hear my situation. Since they "Deezer" is ignoring me and not com poppensating me, or refunding me my rightful amount of money that they really took. Attached are the files and proof. I signed up to deezer and got a months free premium version I then cancelled it so I wouldn't be charged, my subscription status is telling me I'm using the free version now yet I have been monthly charged over the last 2 months of £9.99 each time. Why?